Do you host a podcast or write a blog? Want to know what it takes to get a book deal? 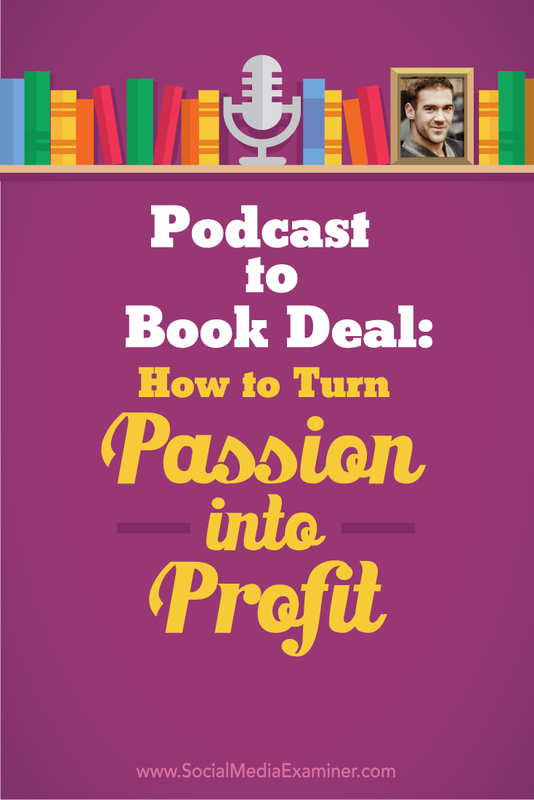 To discover how to turn your content into a book deal, I interview Lewis Howes. In this episode I interview Lewis Howes, co-author of LinkedWorking (a book focused on LinkedIn) and Ultimate Webinar Marketing Guide. His podcast is called The School of Greatness (a top 100 podcast in iTunes). He also has a brand-new book by the same title: The School of Greatness. Lewis will explore how he went from podcasting to a book deal. You’ll discover how Lewis pivoted the focus of his business into something he loves. Listen as Lewis Howes shares what marketers need to know about turning their passion into profit. Lewis says when he thinks of musicians or performers, the ones who are really successful endure for decades by reinventing themselves every three to five years. They do this by following their own dreams and desires, while staying in tune with their audience. Lewis relates this to his own experience with building a couple of different businesses. While one of those businesses served him and other people for a while, Lewis explains there came a time when he was no longer inspired by teaching people about how to maximize LinkedIn. 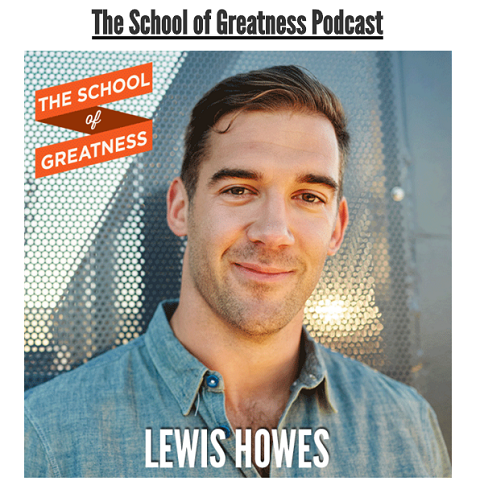 Lewis shares why he transitioned into webinars and ultimately began The School of Greatness podcast three years ago. Lewis explains that a lot of people connected with The School of Greatness podcast. They started asking for more programs, online courses, coaching, events and now a book. Listen to the show to discover how Lewis and I met, and what he said to me. In 2012, Lewis asked Pat Flynn and Derek Halpern what was working in their businesses to drive traffic, get leads and build their audience. Both of them said their podcast. Find out why he was surprised by their answers. In January 2013, Lewis started podcasting once a week. At the three-and-a-half- to four-month mark, he got an email from iTunes saying they loved what he was doing (the inspiration and guests) and wanted to feature him on their home page. This exposed Lewis to a whole new audience beyond the online marketing audience he’d been building. Now he was reaching people from all over the world who wanted to live a better life. Lewis’s podcast caught the attention of iTunes a few months after his launch. Lewis shares how The School of Greatness started as an interview show and turned into a mixture of interviews and solo episodes. Listen to the show to hear how Lewis came up with the title for his podcast. Lewis thought his audience was going to be young entrepreneurs, men and women, probably mid 20s to late 30s. He since discovered it serves a much broader audience range: college kids, moms who play it for their kids in the car, the 50-year-old guy who wants to leave his corporate job to build a business, world-class athletes, former athletes and people from all walks of life. Lewis shares how he chooses guests for his podcast and how his delivery has evolved from one podcast a week to two shows a week (Monday and Wednesday), plus a 5-minute inspirational segment on Friday. Lewis also talks about the three things he believes factored into his success: getting featured on iTunes, interviewing Tony Robbins and having people share the first episode he did on video. Listen to the show to discover how many downloads The School of Greatness gets each month. In 2007, Lewis read The 4-Hour Workweek by Timothy Ferriss. He says the book gave him the tools and resources to take some action over the next two years to get to where he is today. After he finished the book, Lewis had the vision that one day he would become closer to Tim Ferriss and that Tim’s agent would become his agent. He knew one day he would write a book that creates possibilities in the minds of millions of people and helps them achieve greatness in their life the way The 4-Hour Workweek did for him and so many other people. This was 8 years ago. He became close with Tim Ferriss two years later. Originally, Steve wanted Lewis to do a business book about how to be a lifestyle entrepreneur. Lewis shares how he wrote a book proposal on the topic but that when they were ready to shop it, it didn’t feel right. Lewis explained to Steve that he wanted to write about greatness and how to take your life to the next level. Steve said, “I completely understand. Let’s do it.” Lewis wrote a whole new proposal and a year ago, they sold the book. Lewis and his agent went to New York when the book was ready to sell. Image: Shutterstock. Lewis talks about the process he and Steve went through to find a publisher and sell the book. He says they went to New York and took seven or eight meetings over a few days, finishing on a Thursday night. The next day, Lewis was boarding a flight back to Los Angeles when Steve told him he’d received an offer from the publisher he wanted, Rodale. Lewis told Steve to add $50,000 to the offer and throw in a couple of other guarantees, and they had a deal. Lewis had to wait 30 minutes to get on in-flight WiFi to get the response. When he finally did, he saw an email of congratulations. The School of Greatness had been bought by Rodale. It was the most exciting 6-hour flight back to LA, Lewis recalls. 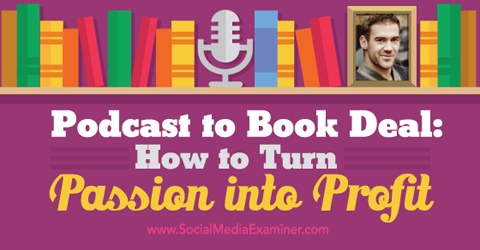 Listen to the show to hear how seriously Lewis took the book proposal process. Lewis says you don’t want to write a book because it sounds cool. You need to figure out why you want to have a book, and get clear on a deeper vision of how the book is going to serve you, your business, your brand and also other people. He cautions that writing a book takes a lot of time and energy, if you want to do it right. You want to make sure it communicates your ideas and you’re going to be excited to promote it. Do your research and prepare for how much energy and work it’s going to take to put the book out in a major way. Lewis discusses the differences between self-published books and doing a big book with a publisher. Listen to the show to discover how the relationships Lewis built over the years help him now. 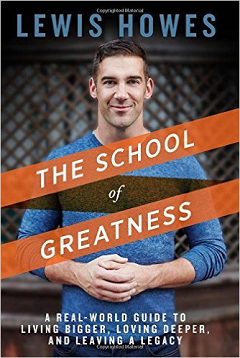 The School of Greatness by Lewis Howes. The School of Greatness is for people looking to take any part of their life, business, health or relationships to the next level, Lewis explains. It’s for the stay-at-home mom who wants to build something on the side and have a deeper relationship with her kids and her husband. It’s for the athlete who is retired and figuring out the next stage of transition. It’s for the entrepreneur who is stuck at $60,000 to $100,000 a year, and doesn’t know how to break through. It’s the eight principles of greatness that show how to get to the next level in any area of your life. 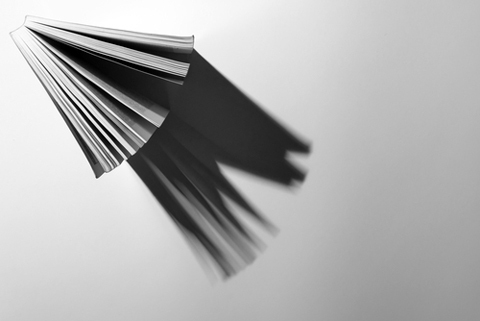 There are four parts to every chapter, and each chapter covers one of the eight principles. Listen to the show to learn what’s in each chapter. The week of this recording we lost a core member of our team, Cindy King, to cancer. Cindy was our editorial director and oversaw all content produced on our site since the beginning of Social Media Examiner. She made a big difference in this company and the outpouring of love we’ve seen from our community has been amazing. What I want to share this week is this: taking time to connect with people is what you’re going to be remembered for. Having read hundreds of accounts of how Cindy has touched people’s lives, it’s the little things they remembered: the encouraging phone call, the piece of advice shared while sitting around the table at a conference, the encouragement to write for us. People remember Cindy for all these little things, as well as her cheery spirit and laugh. So, my question is, what are you doing to make a difference in people’s lives? Who do you need to reach out to and connect with, or take the time to respond to? In the end, that’s what you’ll be remembered for. Listen to the show and let us know how you’re connecting with people. Hundreds of people have already purchased their tickets and have committed to coming to this conference. The networking is going to be off the hook. We have our opening-night party on an aircraft carrier, the USS Midway. 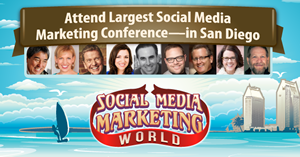 We’ve added workshops this year to Social Media Marketing World. These 90-minute workshops, which will be spread over the three days of the event, are included with your ticket price and are all focused on professional development. For example, we have Michael Port, author of Book Yourself Solid and Steal the Show, talking about public speaking. Ray Edwards, a master copywriter, is going to teach how to write copy to sell. Cliff Ravenscraft will talk about how to start a podcast. David H. Lawrence XVII, who was the evil puppet master on Heroes, will teach how to use your voice. There will be tons of these workshops. It’s just another way we’re making this the best marketing conference you could ever attend. Check it out at SMMW16.com. Learn more about Lewis on his website. Read The School of Greatness. Listen to The School of Greatness podcast. Read LinkedWorking and Ultimate Webinar Marketing Guide. Learn more about Pat Flynn and Derek Halpern. Watch Lewis’s interview with Tony Robbins. Read The 4-Hour Workweek and learn more about Timothy Ferriss. Check out the blog post about Tim’s agent Stephen Hanselman. Read our memorial to Cindy King. What do you think? What are your thoughts on turning a podcast into a book? Please leave your comments below. 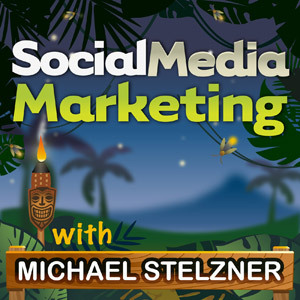 Lewis Howes talks with Michael Stelzner about turning your passion into profit.